“I’m a narrator.” No, you’re not. When you sit down in front of a microphone with a script or story and you record your voice, you’re a voice actor. Maybe not a professional voice actor, but a voice actor nonetheless. Make no mistake: it doesn’t matter if you’re voicing a cartoon or being the voice of a corporate video, you’re always a character. A narrator is a role in a cast. The cast might only consist of that one role, but you’re still a character in it. So when you tell people “I’m a narrator” like it’s a profession, what you’re actually saying is “I’m absolving myself of needing to tell you this story in an engaging way and you shouldn’t expect a decent performance from me.” I’m sorry, but you’re not getting off the hook with that. Is it semantics? No. It’s not. Being an actor – whether it’s on the stage, on the screen, or through someone’s headphones – is a responsibility to breathe life and meaning into a narrative. Your audience, whether they know it or not, wants to form a connection with you. That’s an inherent part of being human. A voice actor, playing the role of a narrator, uses all the same tools a stage or screen actor does: careful enunciation and delivery, correct pronunciation, vocal dynamics, emotion, timing, intonation, even physicality! You transform into the character of the storyteller. When you do that, it’s not a narration, it’s a performance. You are not a narrator. You are an actor. This tale, written by horror author and all around great guy Jeffrey Ebright, examines what happens when you can’t quite seem to remember what you were doing. A former boy scout recalls the harrowing experience of his last camping trip and the indelible impact of what happened on that fateful day in the rain soaked woods. 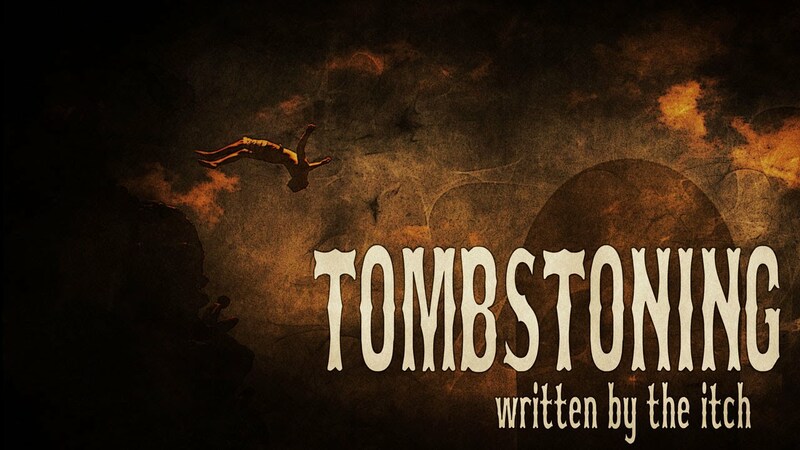 I got to participate in Chilling Tales For Dark Nights’ production of “Tombstoning” by the itch. Specifically, I composed the into and outro score. The score is quiet and subdued, with a hint of dread. You can listen below! The instrumentation consists mainly of glockenspiel, harp and some light dulcitone. I love the sound of the dulcitone. It’s so otherworldly. I think I might use it more in the future. Like most of my orchestral instruments, the ones used in this production come courtesy of ProjectSAM Symphobia 2 for the strings and keys and EastWest/Quantum Leap Colossus for the underlying synth pad. What’s neat about this production is it includes a guest narration by YouTuber HarshlyCritical, otherwise known as John Wolfe. John’s got a great voice for storytelling. He’s chill and relaxed, his pacing is good and he knows how to modulate his voice well. I had a bit part at the very beginning as well as my good friends Andrea Rose (LadyNarration) and fellow CTFDN Executive Producer Jesse Cornett. The production aspect was handled by one our newest producers, Luke Hodgkinson. Luke hails all the way from Chester, England. He’s a great audio producer and a very welcome addition to the team. Hello and welcome to AuralStimulation.net. What is this place? Why are there radio waves and antique-y lettering everywhere? Who is this Jeff Clement guy and why is he so talented? 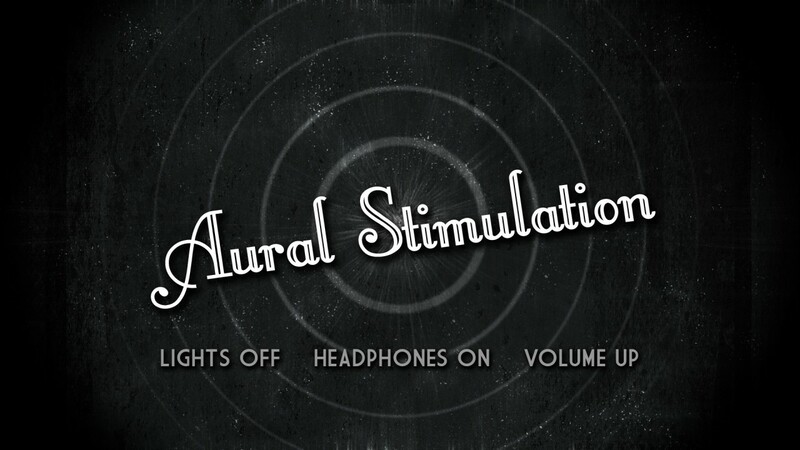 Aural Stimulation is the online artistic project/portfolio of me, Jeff Clement. I’m a bit of a jack of all trades (hopefully one day to be master of at least one). My specialty and passion is all things audio. I love to record, produce, mix, master and dream about sound! If you have a look around, you’ll see that I like to do my own thing, as well as work with others. I like to keep myself constantly busy with projects large and small. You might also notice there’s a quite a running horror theme with me. I LOVE the horror genre. I read short horror fiction and creepypastas for fun because I like telling stories and hopefully creeping people out. I’m also an executive producer with Chilling Tales for Dark Nights, a popular horror-themed audio storytelling channel on YouTube. Anyways, I’ll stop blabbing about me. Have a look around, hopefully you’ll see something you like. I’m always interested in professional opportunities, so drop me a line if you’d like to work together sometime.